Topical steroids are an easy way to treat our largest and most accessible organ: the skin. They are today considered the mainstay treatment of many dermatologic conditions since they can be applied directly to the affected area and have fewer side effects compared to oral steroids. While topical steroids can work extremely well, treatment can sometimes be lengthy and demand diligence in ensuring that you use the drug on time and as directed. They block the chemical reactions that cause inflammation. Steroids are naturally occurring hormones that are released into the bloodstream whenever the body experiences stress, disease, or trauma. When released, the steroid molecules interact with DNA in a cell's nuclei to produce proteins called lipocortin. These proteins block the production of a chemical central the inflammatory response called arachidonic acid. By doing so, the body experiences far less inflammation. They change how immune cells work The immune system fights infection with an array of defensive cells meant to neutralize foreign substances like viruses or bacteria. When this happens, the immune cells release toxins into the body which add to the inflammation. Steroids work by tempering this action and preventing tissue damage that excessive inflammation can cause. They constrict blood vessels. Inflammation is typified by the dilation of blood vessels around the site of trauma or infection. (This is why wounded skin is usually red, warm, and swollen.) Topical steroids work by constricting capillaries and reducing localized swelling and pain. Topical steroids are available in one of seven different classes. The most potent are Class I, which is up to 1,000 times more powerful than your standard, over-the-counter Class VII preparation (like hydrocortisone 1%). Topical steroids are available in ointments, creams, lotions, gels, and even powders. While ointments are the most potent of the five, others may be more appropriate to certain conditions. For instance, since powders are good at absorbing moisture and covering large areas of skin, they may be better for treating conditions like foot fungus or diaper rash. 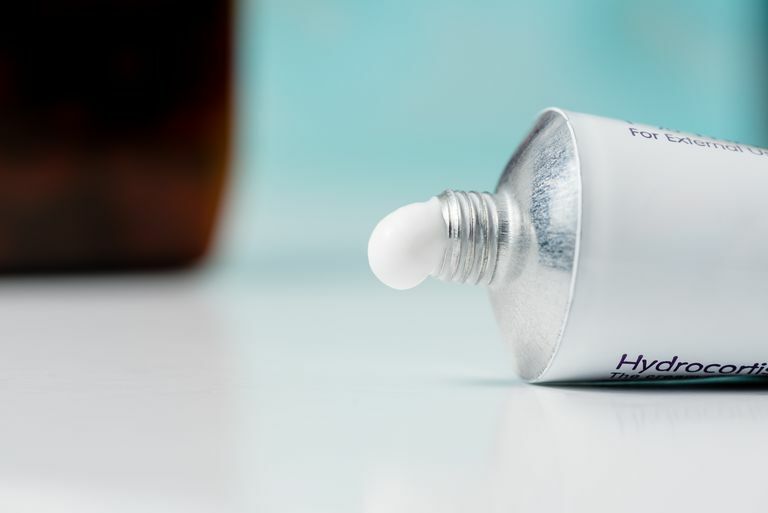 In terms of popularity, topical creams are often the first choice for consumers. They can be used to treat a wider assortment of skin conditions and are especially useful in areas where there are heavy folds. Although creams are generally weaker than ointments, their ease of use and high rates of compliance offer advantages over other methods. When using a topical steroid, the likelihood of treatment success is directly related to how stringently you follow instructions. If a cream is meant to be used three times a day for 14 days, complete the course as directed. Do not stop because the outward symptoms have disappeared or try to "catch up" by increasing the number of times you apply a product. If needed, use a calendar and/or cell phone alarm to help keep you on track. It's important to also remember that the strength of a preparation is not proportional to the percentage on the label. For example, a 0.01% Class I steroid is still hundreds of times more potent than a 3% class VII preparation. Always read the product label, but pay close attention the class of drug you're using. Williams, H.; Bigby, M.; Diegpen, B.; et al. Evidence-Based Dermatology, Second Edition. 2009; John Wiley & Sons Publishers; ISBN-13: 978-1405145183.